Not far off the beaten path, you’ll discover a rare place that is known for its distinctive culture, its mastery of the art of living, and a true joie de vivre. Ideally situated between the bustling cities of Montréal and Québec, the Mauricie region is an oasis of captivating beauty, of thousands of forests, lakes and rivers, of lively cities and welcoming villages. Mauricie will delight you year-round, with its warm and hospitable residents, and attractions to suit every taste in every season. Winter is the perfect time for a dogsledding adventure or a snowmobile outing. With the spring comes an invitation to make gastronomic discoveries as sweet as maple syrup. In the heat of summer, the region’s many festivals and terraces will energize and enliven you. And the fall-you don’t want to miss seeing the vivid colours of our trees. Now this is a four-season destination! In Mauricie, comfort and hospitality are top priority. They might even be said to have perfected the art of getting away from it all. The area’s dining tables are full of delectable, regional flavours. And whether you stay in a luxurious resort nestled in the heart of the forest or in a cozy B&B, you’ll find plenty of opportunities to discover nature on your doorstep. From bear watching at dawn to fishing expeditions on a frozen lake, Mauricie promises incredible, unforgettable moments you’ll want to share with those close to you. 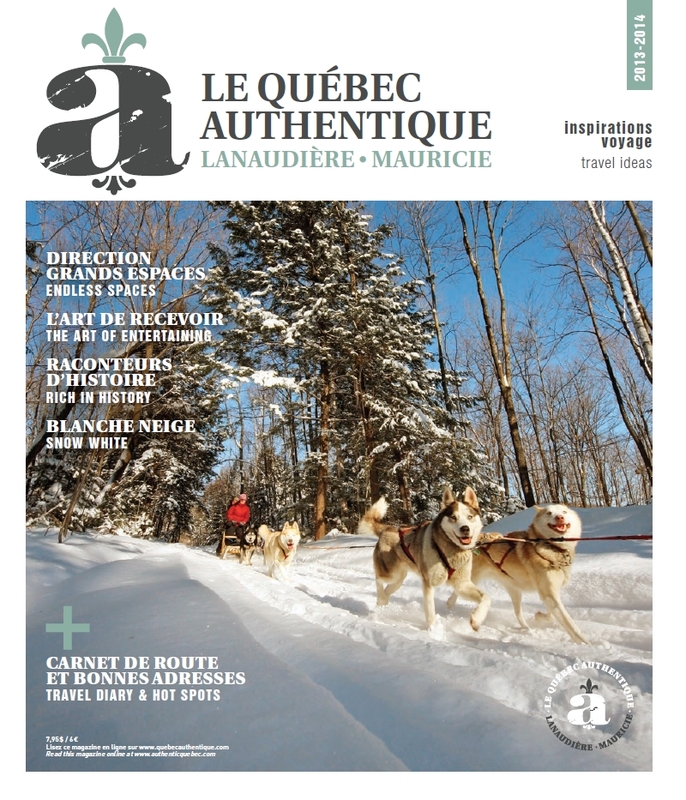 Featuring fascinating places to visit, plus portraits of the passionate people who live there, as well as testimonials of travellers, Mauricie Magazine is an invitation, in words and images, to live a unique and authentic experience in this special region. Let’s rendezvous in Quebec!